Daniel will appear on the season premier of THE MENTALIST on CBS September 22nd. You can check out the clip right here! You may have noticed an absence of updates on this site over this last few months. It is with great sadness that I must report the loss of my best friend and our original webmaster, Scott Brunell. This site was Scott's brainchild. He created it and administrated it since it's inception. Please feel free to explore Scott's life here. 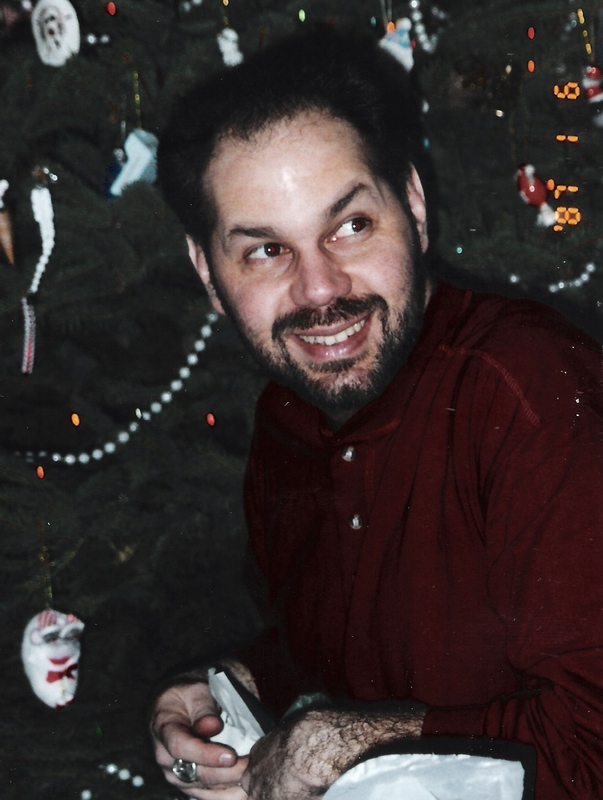 It has taken those of us who loved him a few months to adjust to our lives without him as he was our father, son, uncle, brother, friend, mentor and cheerleader! 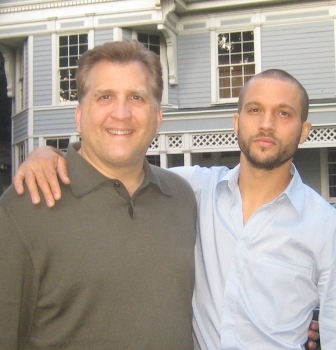 It was his shining example that helped make me the man I am and his constant support that helped make me the actor I am. We are finally getting to the tasks at hand. Scott's son, Dan, will take over as our webmaster and I am grateful to have him at my side. The site will change and grow over the next few months as Dan steers it in the direction that Scott was hoping to take it. 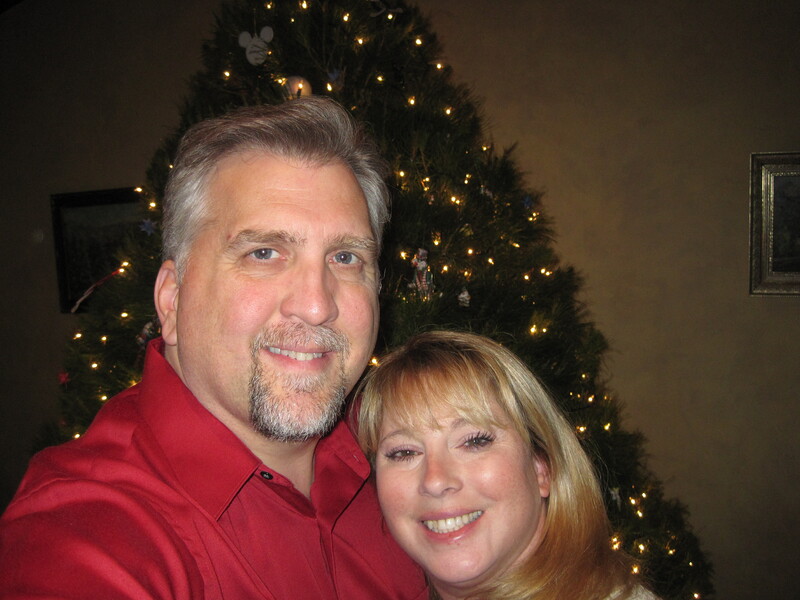 Please keep Scott Brunell and his family in your prayers. Daniel returns to GLEE on Tuesday April 26th! 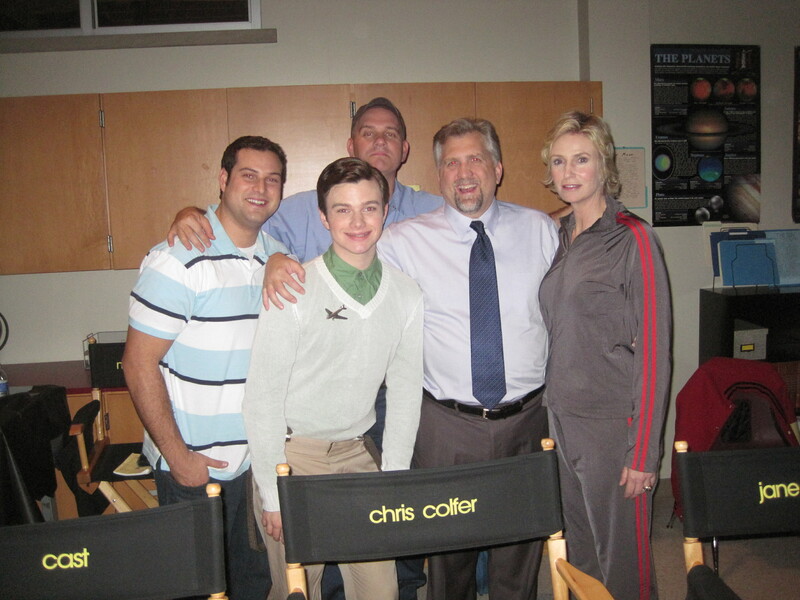 He always enjoys being reunited with his "son", the very talented Max Adler and the rest of the amazing cast! Do you remember The Sunshine Boys? from David Hansen-Sturm on Vimeo. "The Sunshine Boys" - Clip One from David Hansen-Sturm on Vimeo. 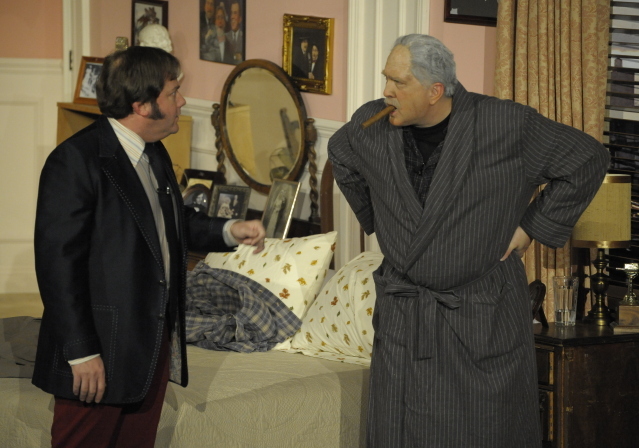 "The Sunshine Boys" - Clip Two from David Hansen-Sturm on Vimeo. "The Sunshine Boys" - Clip Three from David Hansen-Sturm on Vimeo. 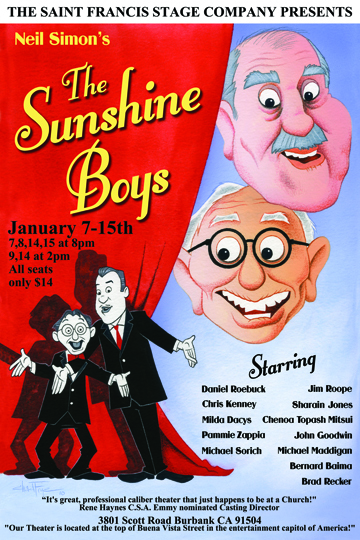 "The Sunshine Boys" - Clip Four from David Hansen-Sturm on Vimeo. 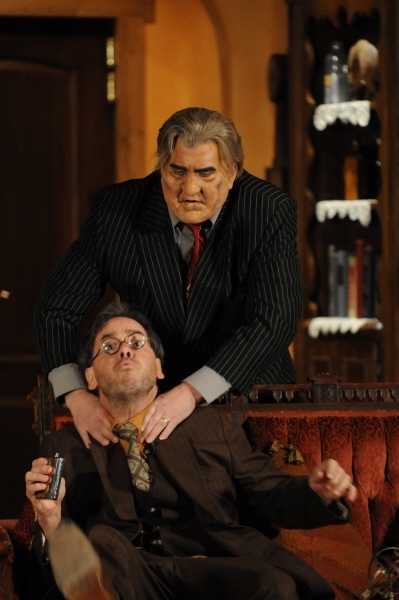 "The Sunshine Boys" - Clip Five from David Hansen-Sturm on Vimeo. 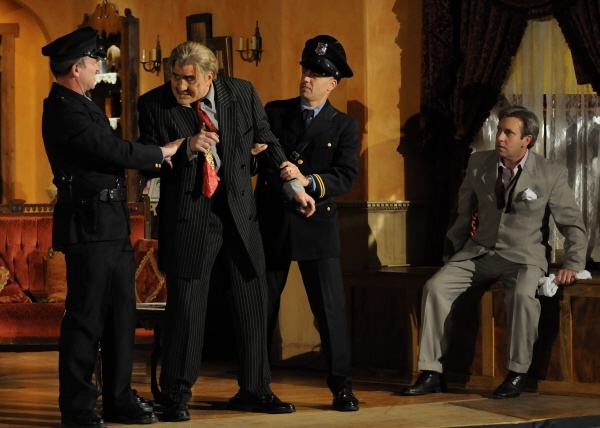 "The Sunshine Boys" - Clip Six from David Hansen-Sturm on Vimeo. 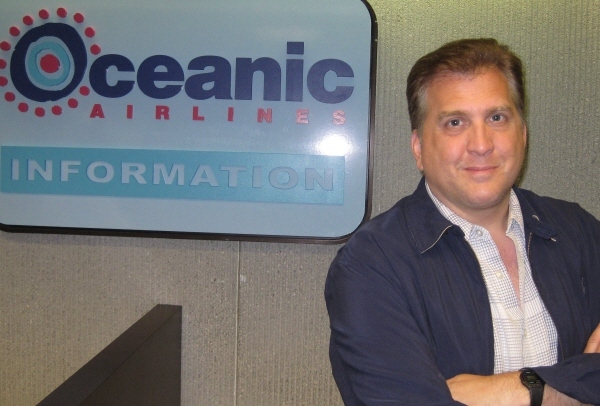 Available in June 2011 is this very cool Bobble Head of Dan Roebuck as Dr. Leslie Arzt from Lost. Click here for more detail and to purchase. Dan recently was able to speak to some Penn State students. The links below are some write-ups about it. Click here for The Daily Collegian article. Click here for the Centre Daily Times article.two. 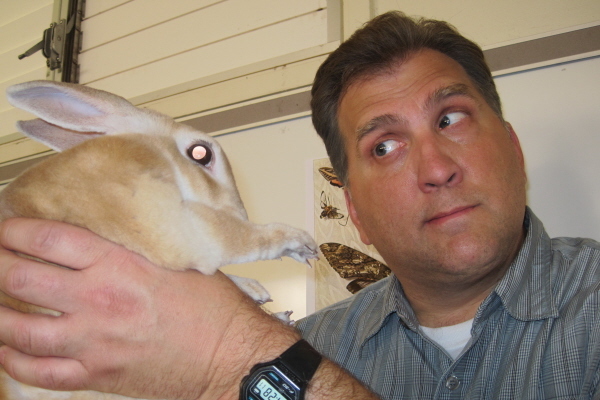 Don't forget, Dan is on Facebook and Twitter! 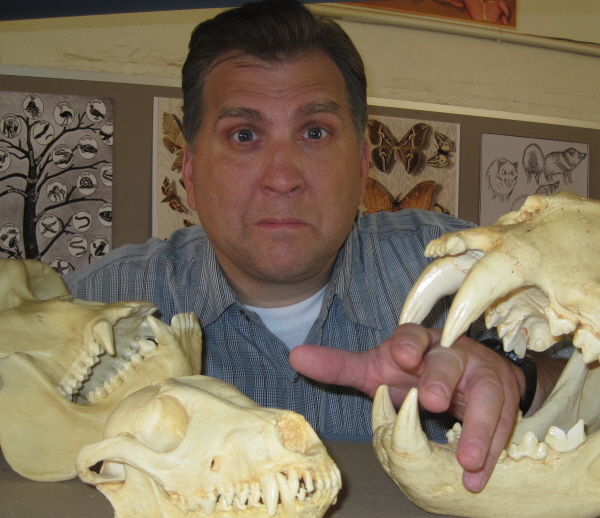 Please check them out for up to the minute Daniel Roebuck information, photos and news. Click here to go to his Facebook page or click on the "Facebook" link to the left. Click here to see his "tweets" and join his blog or click on the "Twitter" link at the bottom menu. Daniel Roebuck stars alongside Laura Harris and Ivan Sergei in FINAL SALE. The film will premiere Monday night, January 24 on LIFETIME and will continue to air during the next few months. Only one weekend to go! Click here to check out this trailer for the show! Remember, there is a Special Matinee on FRIDAY, JANUARY 14 at 2:00 PM. Anyone is welcome to come to that, the more the merrier!! Student and Seniors tickets are only $10.00 for the matinee! Then it's Friday night at 8:00 PM and Saturday night at 8:00PM. 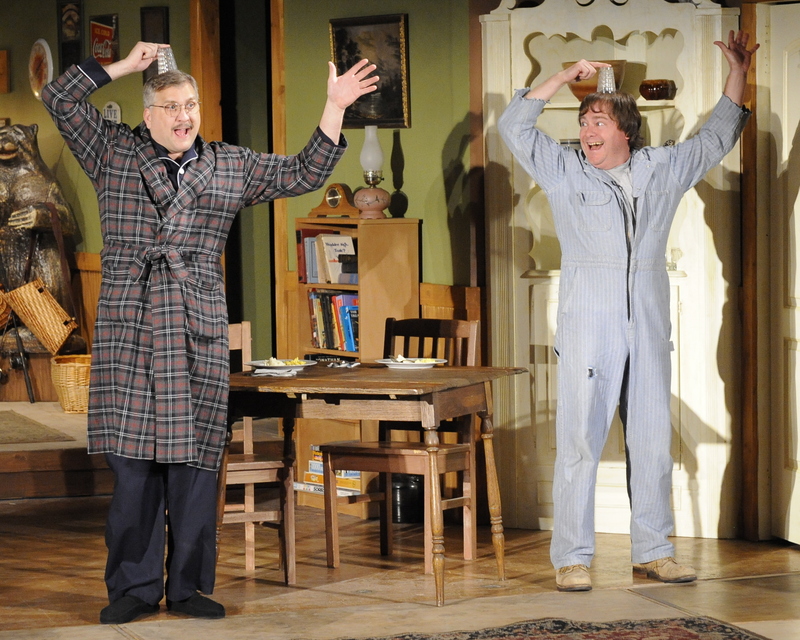 There is only one final weekend to catch The Saint Francis Stage Company production of THE SUNSHINE BOYS! Tickets are only $14.00, one of the best theater deals in town! However, all senior and student tickets are ONLY 10.00 for the Matinee on the 14th. If you are local, please take some time out of your busy schedule to share this wonderful play with us and to help raise money for a worthy cause. 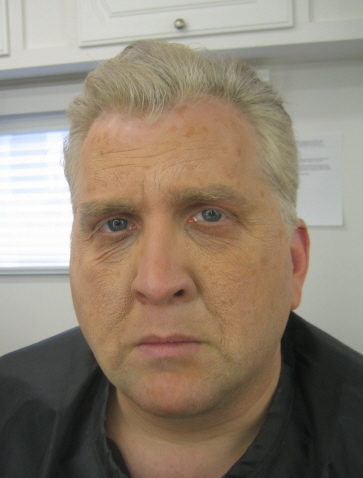 Daniel Roebuck returns to the stage this January in THE SUNSHINE BOYS! Here is wonderful chance to tour Daniel toys Museum (Dr.Shocker's House of Horror) with the wonderful folks at TOYBREAK! Mr Condor returns yet again to SONNY WITH A CHANCE tonight! Dan was recently on Glee. If you missed it you can catch it online at hulu.com. 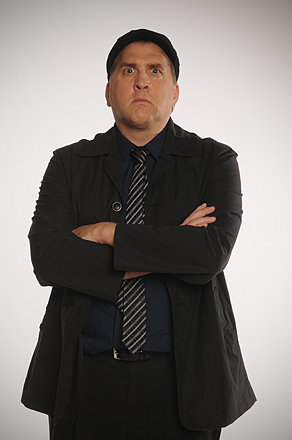 Dan was very excited to join the cast of GLEE this season as the father of school bully, Karofsky (Max Adler). 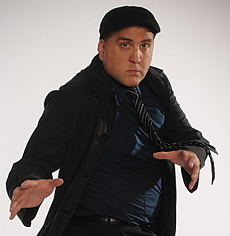 His episode premiered on November 23rd. Dan said it was wonderful reconnecting with Jane Lynch whom he worked with many years ago on THE FUGITIVE. Plus it was also a pleasure to share some time with Chis Colfer, Mike O'Malley and of course, Max Adler. Mr Condor returns to SONNY WITH A CHANCE tonight! It will be repeated on Monday 11/15/2010 and Sunday 11/21/2010. Daniel is so pleased to be able to share this wonderful short film with his friends and fans. Director Sky Soleil has crafted a fast paced, entertaining and family friendly Halloween Treat. The film can be downloaded directly to your computer or you can purchase an autographed DVD right here. Dan has been mentioned in the news a lot lately. Click here to read an article about the LOST charity auction. 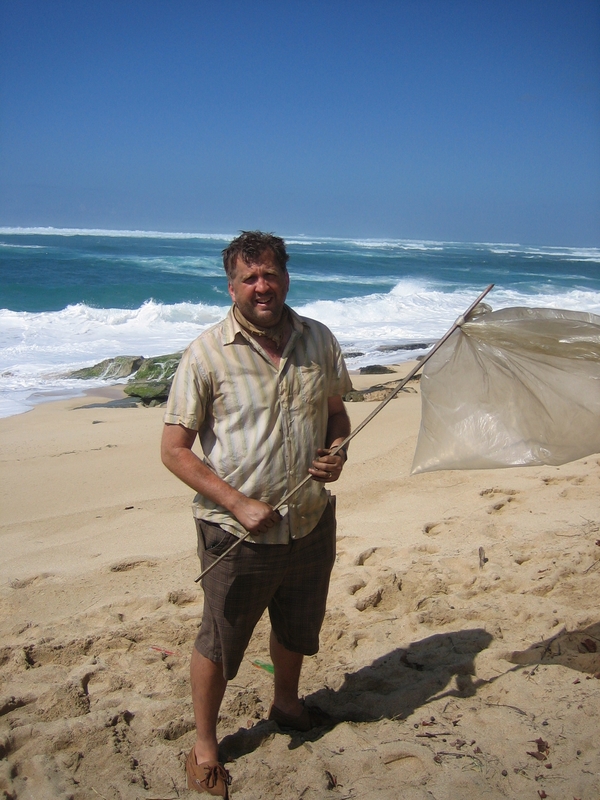 Click here to read an article about the film, "The Lost Skeleton of Cadavra". 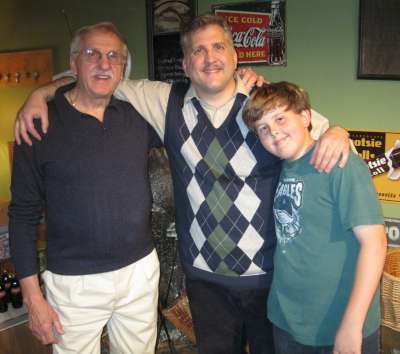 Click here to read an article about Dan from his "hometown" newspaper. 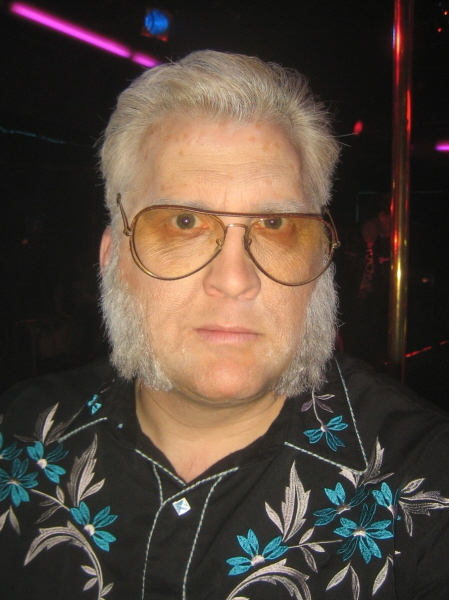 Mr Condor returns to SONNY WITH A CHANCE! 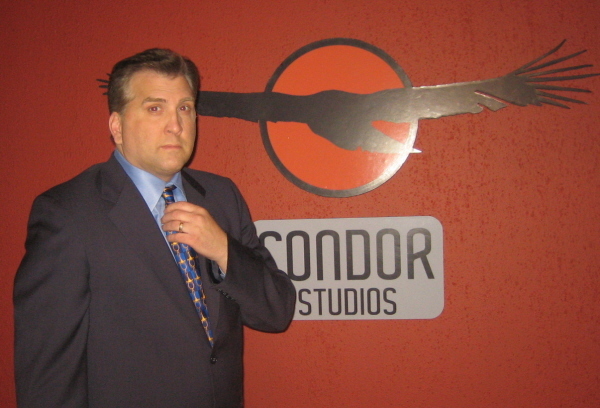 Daniel will reprise his role of Studio owner, Mr Condor, on the Disney Channel comedy SONNY WITH A CHANCE. This new episode premieres Sunday, August 8th! Don't miss it! Daniel recently completed the feature film, FINAL SALE, directed by Andrew C. Erin. 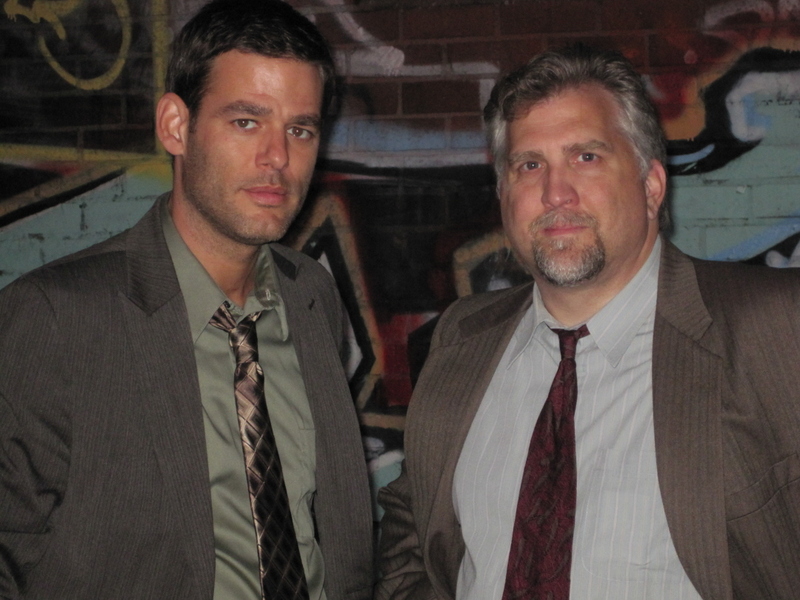 The thriller starring Laura Harris and Ivan Sergei is set for release in 2011. 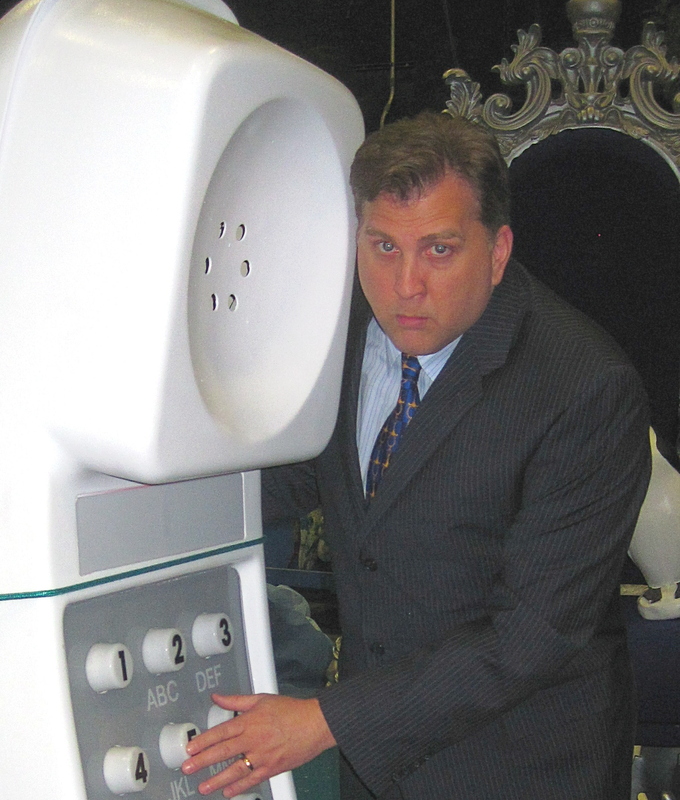 Daniel Roebuck is pleased to celebrate 25 as a Hollywood actor. His very first film, CAVEGIRL, premiered in the Summer of 1985! 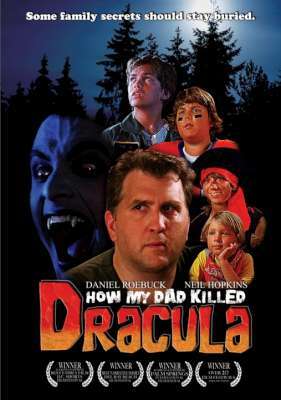 Although the film is no cinematic classic it does mark a milestone for Daniel and he is pleased to remember how great it was to live out his dreams for the first time, so long ago.The occasion is marred only by the untimely death of Cindy Ann Thompson who was so radiant is Eba, the Cavegirl, this past October. PS: Be sure to start the video at the top and listen to the great music as you scroll down the page. 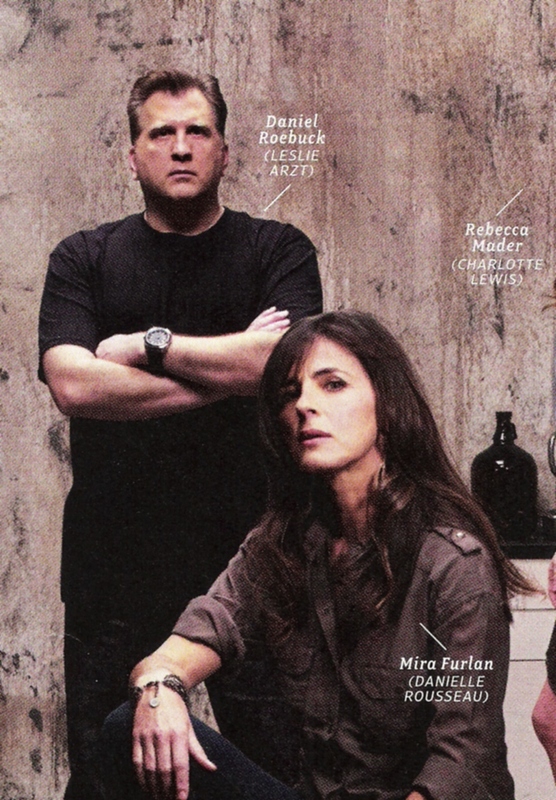 Daniel was very happy to have been asked to take part in this special DEAD ZONE pictorial celebrating those who have "passed on" in the groundbreaking television show, LOST! Daniel recently completed a fun project for Comedy Central. In it he plays the manager of Rock band, STEEL PANTHER. 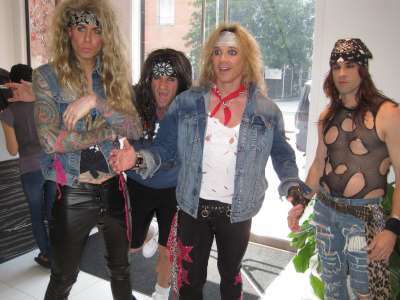 If you have never heard their music, you are in for a treat. Daniel recently completed filming BIG GINGER, a wonderful family movie produced by the WWE. The film stars Ed Harris, Molly Parker and Chase Ellison and Daniel. 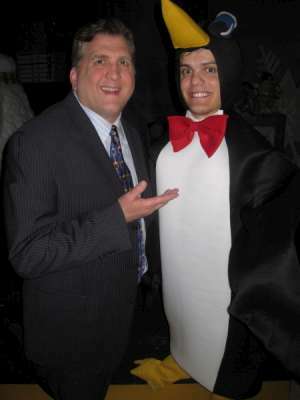 Daniel returns,as Mr. Condor, to Disney's hit show, SONNY WITH A CHANCE! Mr. Condor, once again, strikes some fear in the hearts of the cast of SO RANDOM. 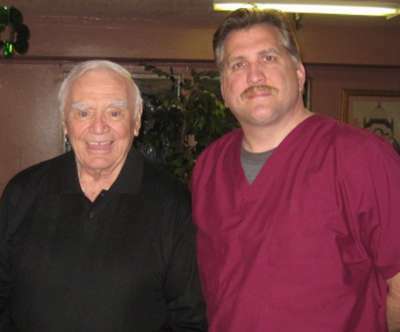 Daniel just wrapped NIGHT CLUB a comedy directed by Sam Borowski and starring Ernest Borgnine, Mickey Rooney,Sally Kellerman and a cast of talented newcomers. 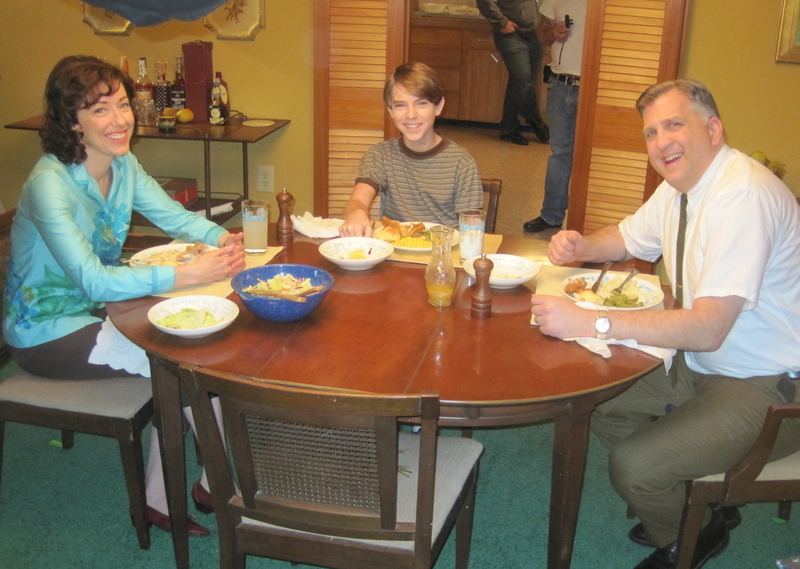 Daniel had a great time sharing some onscreen and offscreen time with Ernie Borgnine and legendary producer Sam Sherman, as well as the rest of the cast and wonderful crew. Photo Right: Steve Christopher, Make up man John Goodwin and Daniel Roebuck on the set. Dan will be making a return appearance as Mr. Condor, Studio Head, on Disney's television show, Sonny With a Chance. Details to follow. 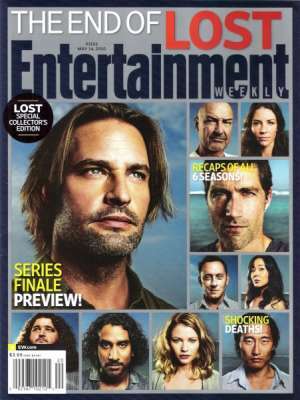 Daniel will return to LOST on Tuesday, March 9th. He was thrilled to revisit the show and continue to explore the unique and explosive Dr. Arzt! 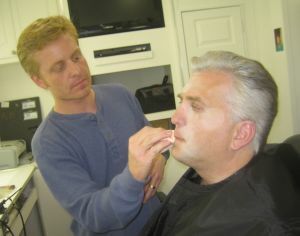 Daniel will appear on the hit CBS televison show, CSI MIAMI this Monday March 8th. 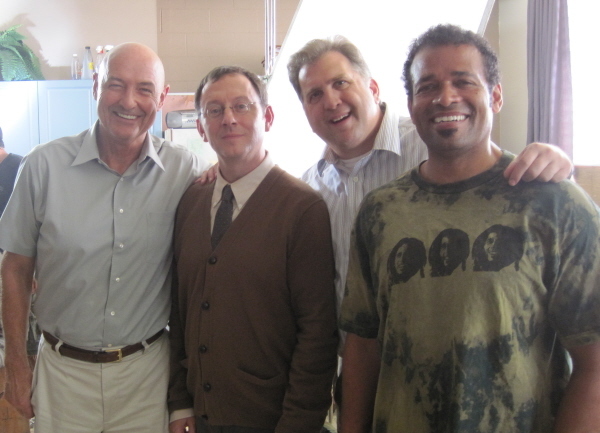 He had a great time working with the talanted cast of series regulars as well as a great guest cast! 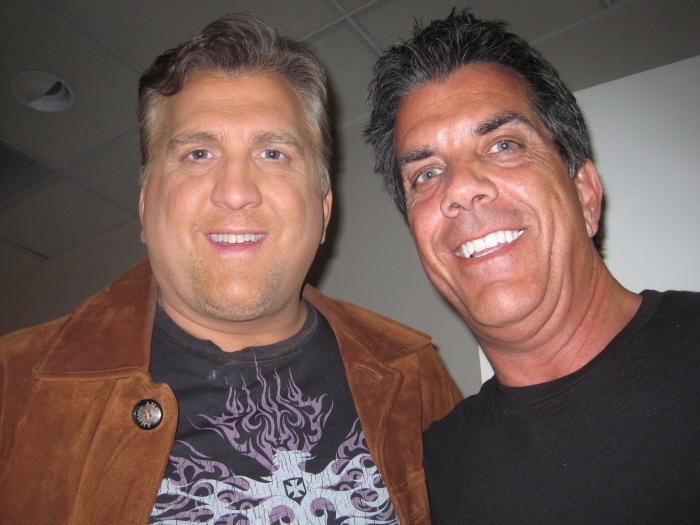 Today is Daniel Roebuck's Birthday! 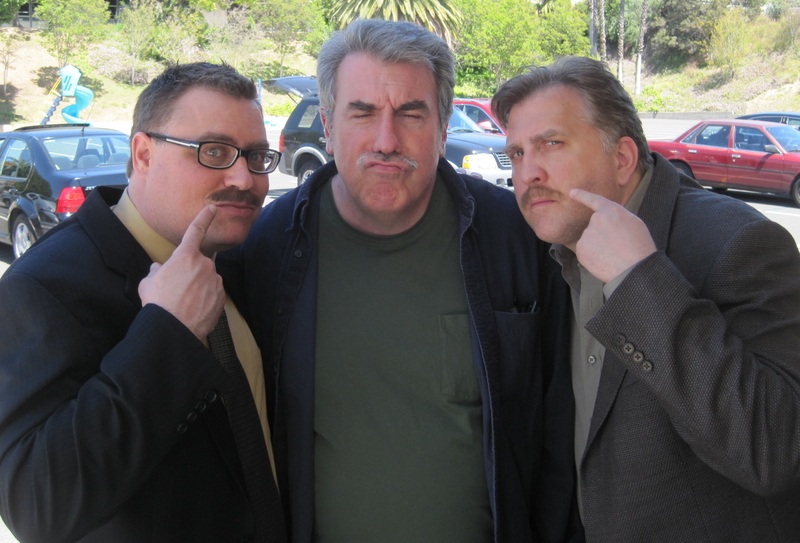 You can now view "LA X" parts 1 & 2 online, featuring exclusive commentary by Daniel Roebuck (Dr. Arzt). "ABC Social: Episode Commentary" is an ABC Full Episode Player feature offering unique insight directly from show cast, crew, experts and fans, creating a more informative and entertaining viewing experience. Dan now is posting information on Twitter! Rob Zombie's epic tale of Horror is now available on DVD and BLU-RAY. 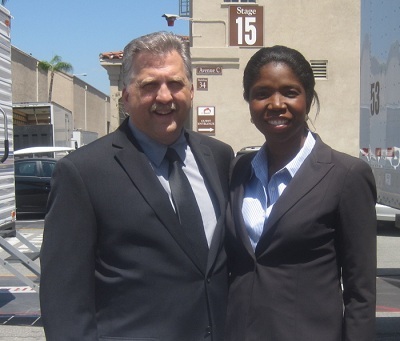 Look for many of Dan's additional scenes on the special features. Dan always enjoys collaborating with Rob and certainly had a great time making this movie. 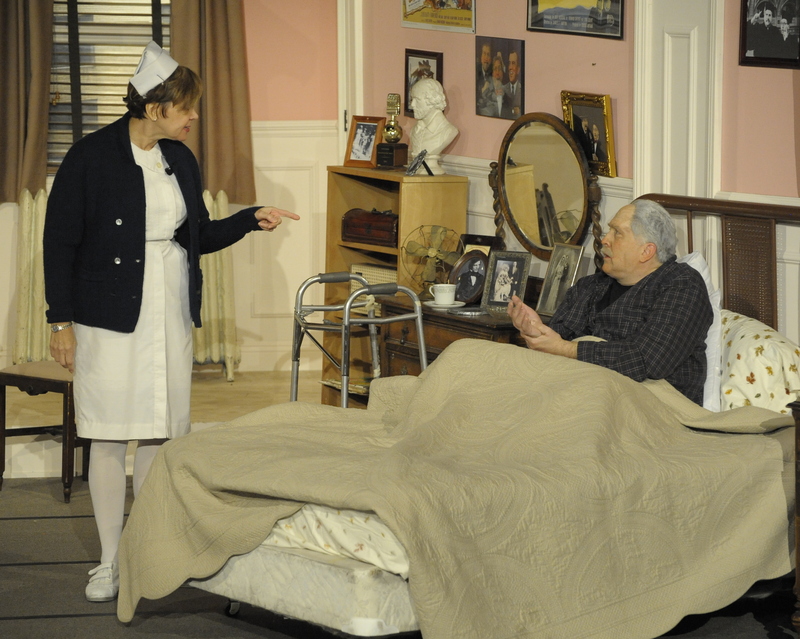 The SAINT FRANCIS STAGE COMPANY production of THE FOREIGNER was a glowing success! 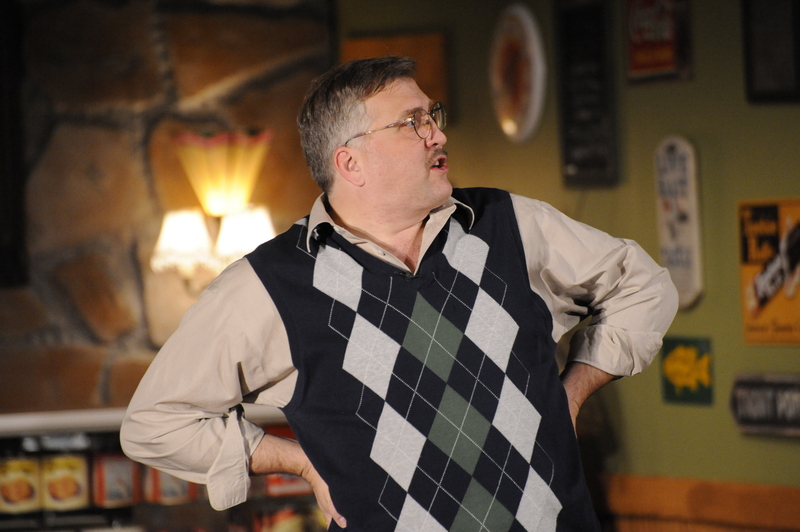 Audiences roared with laughter at Larry Shue's hilarious dialouge and silly situations. 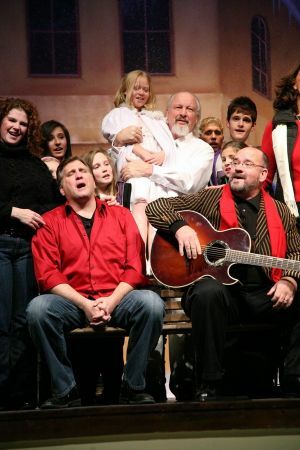 Dan loved working with the talented cast and fantastic crew, but perhaps most satisfying for him was that he got to share the stage for a few moments with both his son, Buster, and his father, John! It was the first time Dan experienced three generations of Roebucks on the stage at the same time. 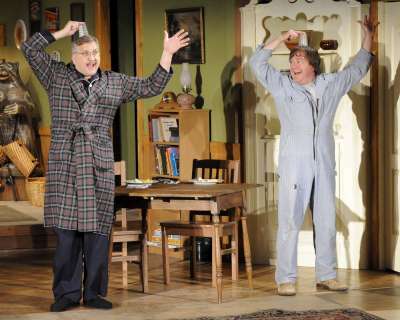 Well, after the blessings Dan's Church experienced with both THE ODD COUPLE and last year's ARSENIC AND OLD LACE they have decided to go for a HAT TRICK! 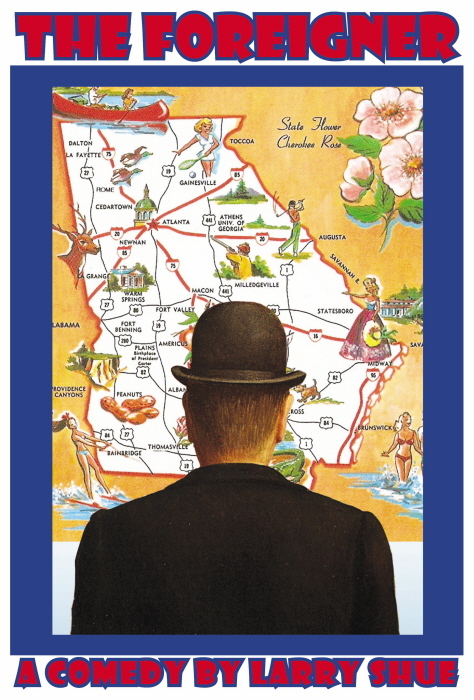 This time we're taking take a little stroll down South! Please do drop on in, if you can. 8:00 pm Friday January 8, Saturday January 9, Friday January 15 and Saturday January 16. 2:00 pm matinees on Sunday January 10 and Friday January 15 (Senior Matinee all seats only 8.00 for Seniors at this show). General admission is ONLY $12.00! Tickets are available at the door or you can call 818-504-4400. All proceeds benefit Saint Francis Xavier Catholic Church and School. Daniel recently took a GUEST STAR turn on the hilarious CBS comedy THE NEW ADVENTURES OF OLD CHRISTINE starring Julia Louis-Dreyfus. He had a great time with the wonderful cast. Look for the episode to air December 16th. 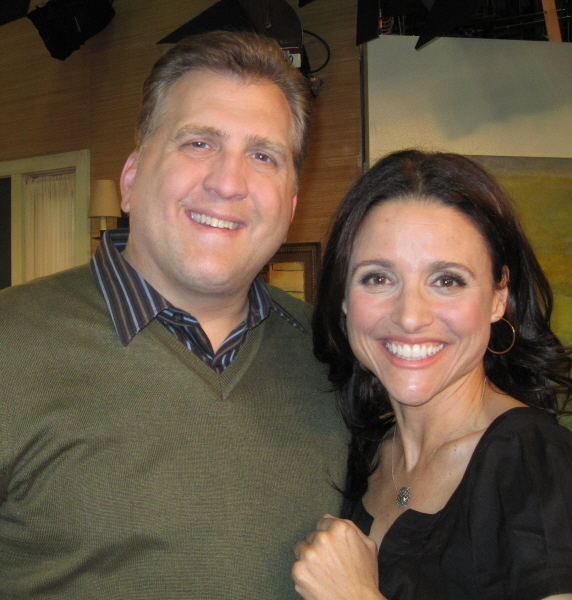 Photo Left: Daniel and Julia Louis-Dreyfus on the set of The New Adventures of Old Christine. Photo Middle: Director Andy Ackerman and Executive Producer Kari Lizer on the Set of The New Adventures of Old Christine. 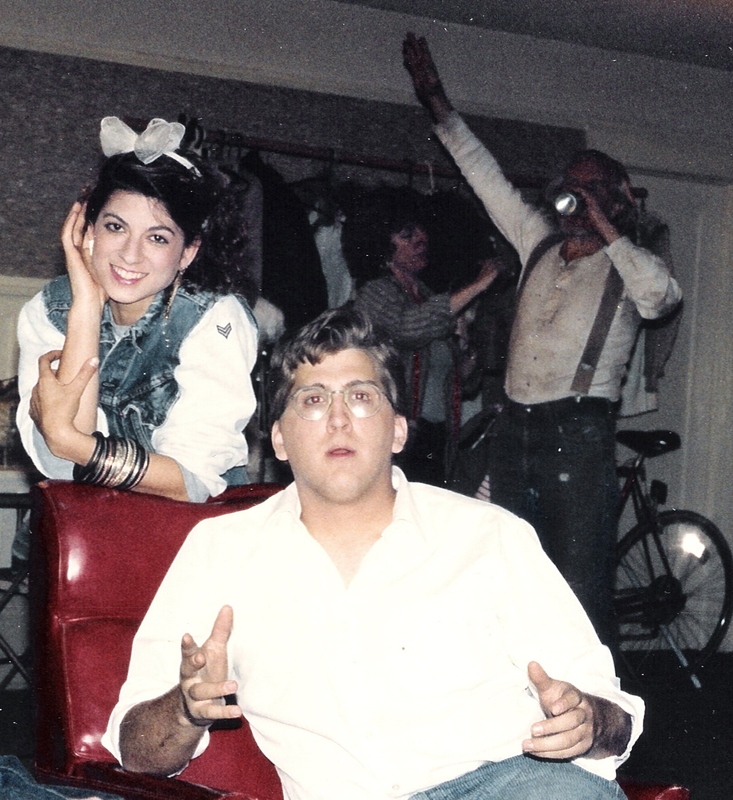 Photo Right: Molly Shannon and Daniel Roebuck play Christine's neighbors in The New Adventures of Old Christine. 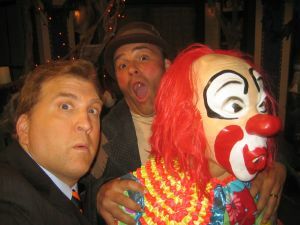 Here's a very nice Wizards Of Waverly Place Halloween Special preview. Dan can be seen throughout it. The show premieres Friday October 16th and will run throughout the month. Daniel's HALLOWEEN HAT-TRICK started with the release HALLOWEEN 2 and continued with the Zombie themed webisodes of WOKE UP DEAD will be complete with the premiere of the HALLOWEEN EPISODE of the hit Disney Channel Show, THE WIZARDS OF WAVERLY PLACE! Daniel recently returned to the world of Internet Webisodes with the exciting new seies WOKE UP DEAD starring Napolean Dynamite's Jon Heder. The funny series, written by Dan's friend and sometimes collaborator John Fasono, has already premiered and can be seen right here! Click here to enjoy the first webisode. Dan now has a presence on Facebook! Please check it out for all kinds of Daniel Roebuck information, photos and news. 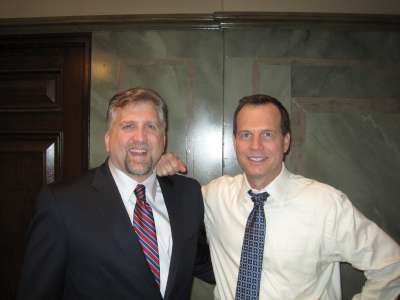 Click here to go to his page or click on the "Facebook" link to the left. 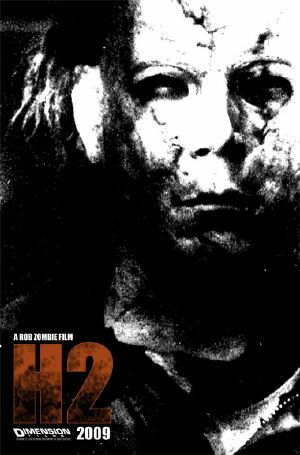 Halloween 2 Opens Friday August 28th.! 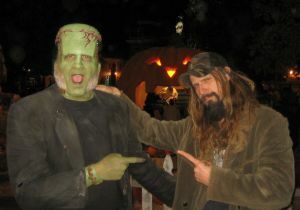 Daniel once again collaborates with the MODERN MASTER OF HORROR, Rob Zombie. 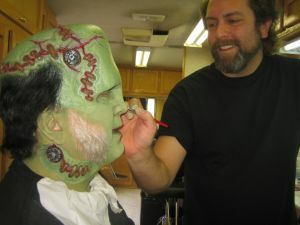 Rob is one of Dan's favorite directors so he is pleased that Rob cast him as part of the Halloween Legacy. Look for Dan in the trailer above. Daniel recently completed a fun guest star on the WIZARDS OF WAVERLY PLACE, the Disney Channel's hit show starring Selena Gomez. As luck would have it, Dan is going to appear in the HALLOWEEN EPISODE! Look for the show this coming October. As you all know reading here, Danny loves collaborating with Rob Zombie. They first worked together on DEVIL'S REJECTS. 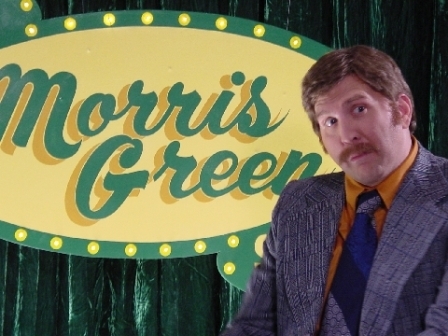 He played talk show host Morris Green in that film. Now Dan is thrilled to have had Morris Green turned into a cartoon character in Rob's latest project, THE HAUNTED WORLD OF EL SUPERBEASTO. Daniel recently completed filming a guest star role on an episode of TNT's newest series, Dark Blue. The show, directed by Danny Cannon (CSI MIAMI and Eleventh Hour) was great fun. The series stars Dylan McDermott, Logan Marshall-Green, Omari Hardwick and Nicki Aycox. 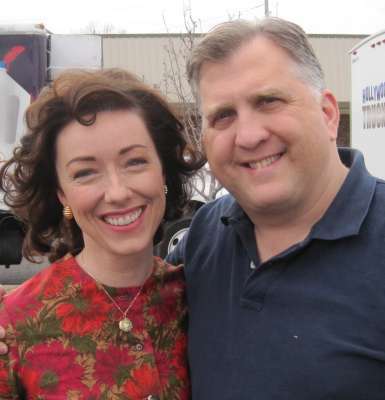 Look for Dan in the fifth episode of the season. 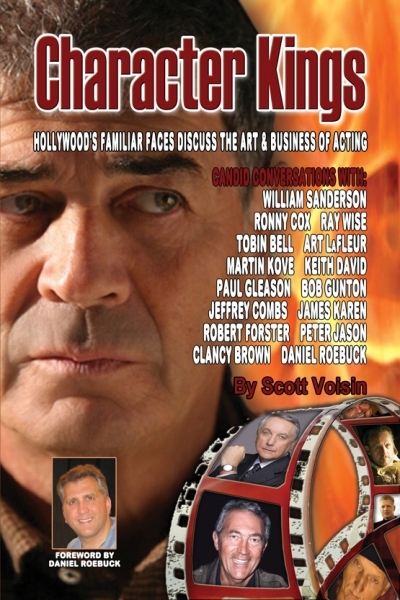 Check out SCOTT VOISON'S wonderful book, CHARACTER KINGS. In this terrific book, filled with interviews with some of Hollywood's most recognizable character actors, you will find a fascinating chapter on Dan's career. Aside from that, the author asked Dan to write the introduction for the book. Click here to order Scott Voison's CHARACTER KINGS. 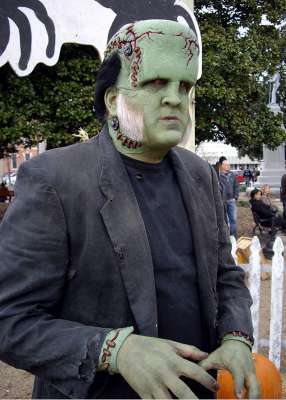 Look for THE FRIGHTFUL DR. SHOCK, John Skerchock's wonderful biography of Philadelphia's favorite Horror Host! Old 'Shocky Doc" inspired Dan to create his alter ego, Dr. Shocker so Dan was thrilled to be able to contribute the afterword for John's book. Click here to order John Skerchock's THE FRIGHTFUL DR. SHOCK. 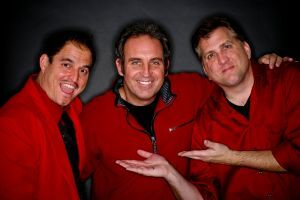 On another very exciting note, Dan has partnered with two great friends of his, Brian Glassford and Mick Trombley in a new compnay called ACCORD ENTERTAINMENT. Click here to check out the website to see some of the ideas they are trying to bring to Hollywood. On the horizon for Dan is a web series starring Jon Heder (NAPOLEON DYNAMITE) called I WOKE UP DEAD! 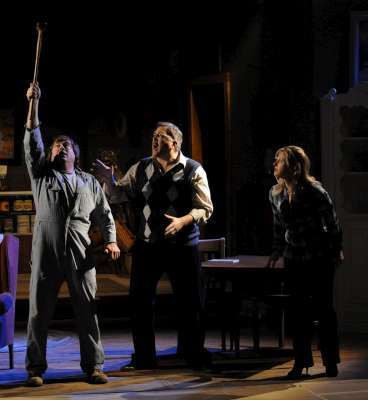 It's written by John Fasano and should be a hoot! Daniel is excited to be part of Kevin Burns latest Documentary, THE FACE IS FAMILIAR! This hour long look into the world of Character actors will premiere Tuesday, June 9th and continue airing throughout the month. Kevin's crew shot Dan during his prep for Larry Blamire's comedy, DARK AND STORMY NIGHT. It really is a fascinating look into Show business from this very unique point of view. Click here for more information about this on the STARZ website. Daniel is "treading the boards" for the third time in half a year and loving it! He's currently starring as Jeremy Troy in the GLENDALE CENTRE THEATRE'S hilarious production of Jack Sharky's HERE LIES JEREMY TROY. The production, wonderfully directed by Dan's long time friend, Tim Dietlein, also stars four of the most talented actors he's ever worked with. They are Megan Blakeley, JJ Rodgers, Kelly Flynn and Mario Degregorio. 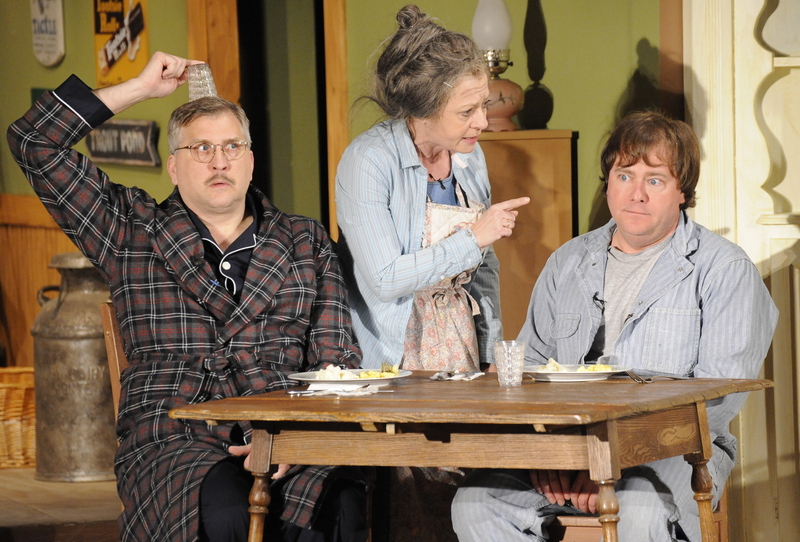 Click here to check out a great review and learn more about the play and this production. 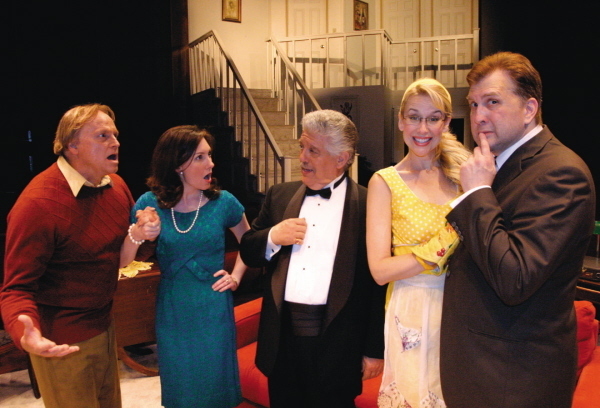 Photo Left: Kelly Flynn, Megan Blakeley, ario Degregorio, jj Rodgers and Daniel Roebuck. 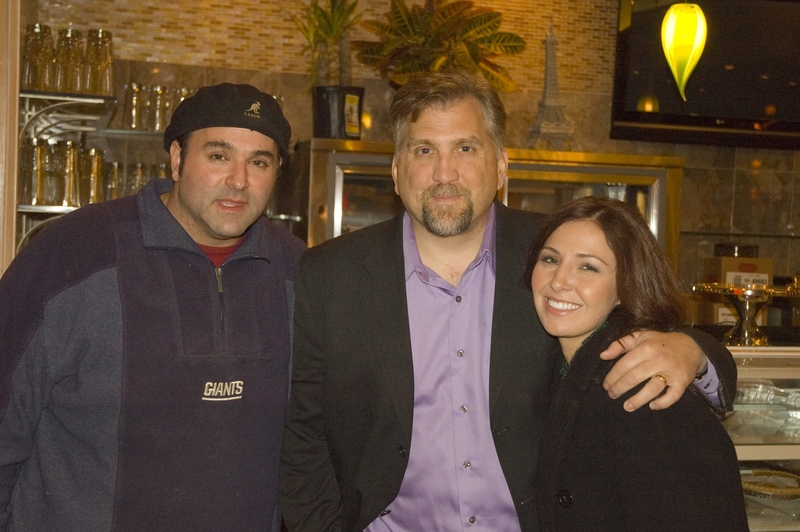 Photo Right: Kelly Flynn, Megan Blakeley, ario Degregorio, jj Rodgers and Daniel Roebuck. Daniel has completed work on Rob Zombie's HALLOWEEN 2. 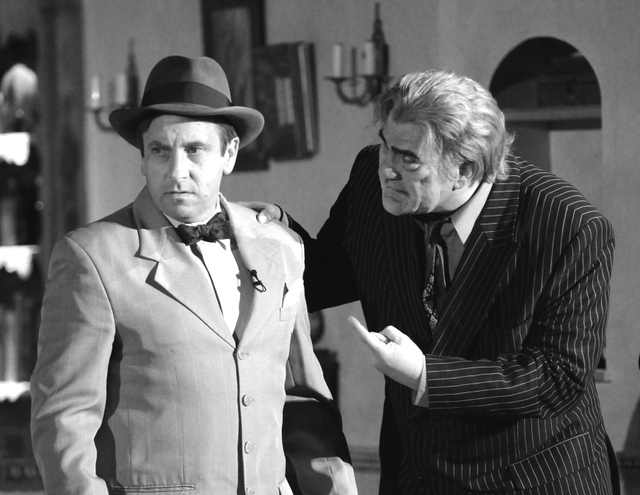 He reprised his character from the first film, Lou Martini, who was now 20 years older. On top of that Rob cast the fictional character as the town of Haddonfield's official Halloween spokesman so Dan also got to be made up in a fantastic Frankenstein make- up! 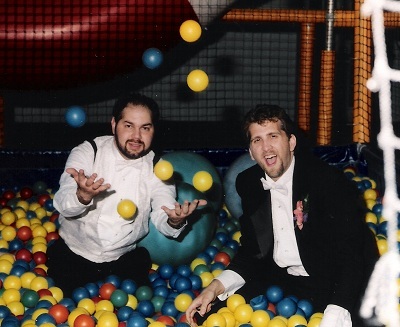 Dan and Rob are collaborating on another project that we hope to announce here in the very near future! 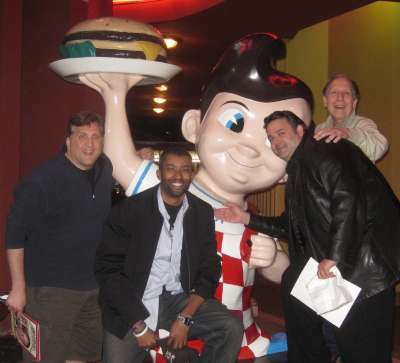 Top row right: Dan as "guess who"
Bottom row right: Dan and Wayne Toth. Daniel recently lent his talents to THE MANDALA MAKER. A short film by Sam Borowski. 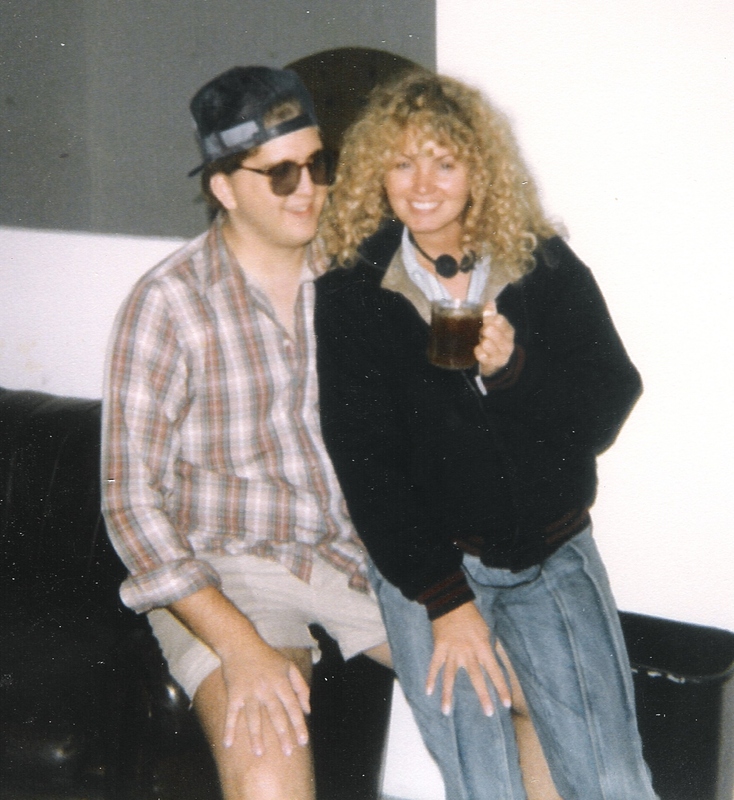 Sam and Dan have collaborated on a few projects in the past including REX, CREATURE FEATURE; 50 YEARS OF THE GILLMAN and the upcoming bio pic on Al Adamson, MURDER A GO GO. The MANDALA MAKER was directed, produced and written by Borowski, and stars Courtney Hogan as Naomi, Daniel and Tony-Winner and Emmy-nominee Terrence Mann, the star of THE DRESDEN FILES on Sci-Fi network . Disney's hot new show, Sonny With A Chance, will premiere this February on The Disney Channel. It stars Demi Lavato and a VERY talented cast of young actors. 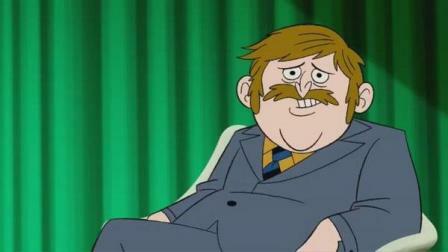 The show takes place on the set of a television show and Daniel just finished an episode as Mr. Condor, the head of the fictional studio. Above right: Dan with Allisyn Ashley Arm, Doug Brochu, G. Hannileus, Demi Lavato, Tiffany Thorton, Brandon Smith and Sterling Knight. It's official, Dan will return as Lou Martini, the owner of the Rabbit in Red Lounge, in Rob Zombie's newest film, HALLOWEEN 2. Needless to say, Dan is very excited to work with Rob again and tells us that they will collaborate on an even bigger project in the future!. 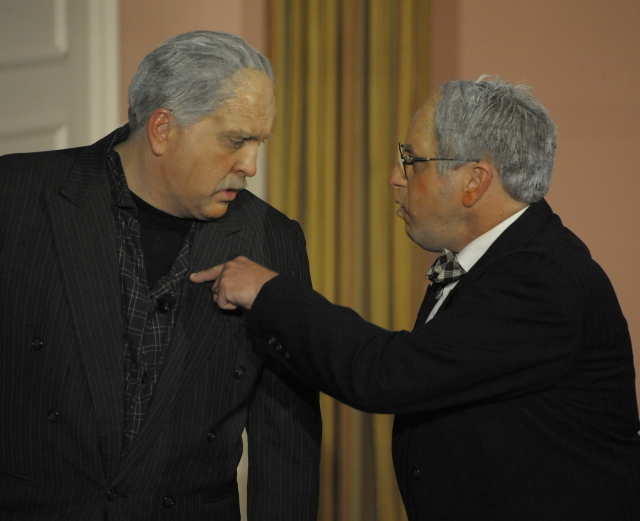 The Saint Francis Stage Company's second production, ARSENIC AND OLD LACE, was a great success! 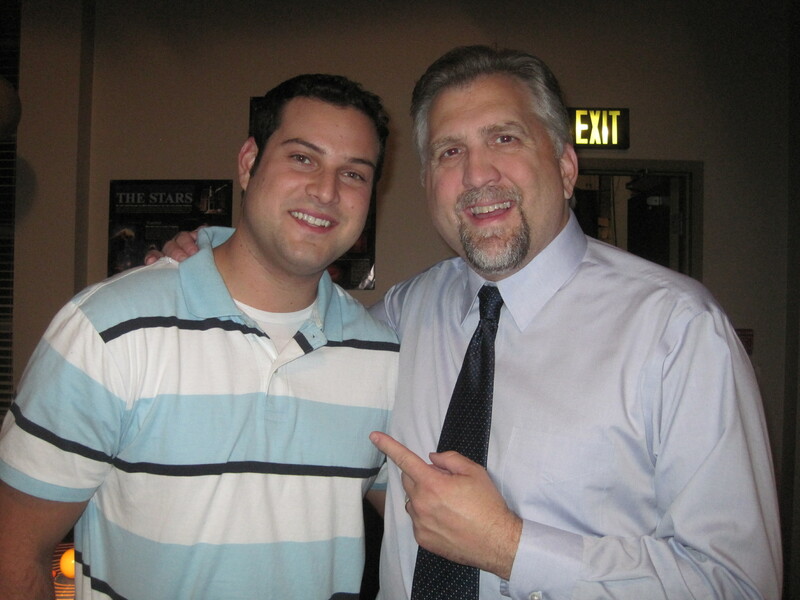 Daniel and Jesse J. Adams directed the comedy and Dan played Jonathon Brewster, the murderous nephew of two equally murderous aunts. 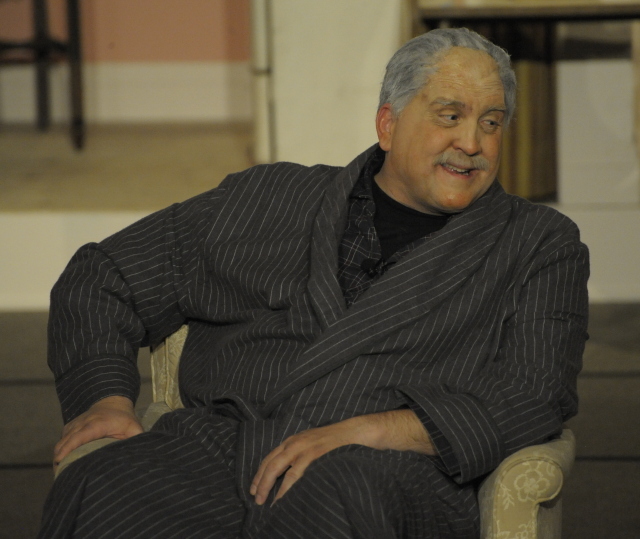 The cast featured Jim Roope, who played Felix to Dan's Oscar in last season's ODD COUPLE, as well as Sean Mannion,Vicki Conrad, Chenoa Topash Mitsui, Chris Kenney and many other talented actors. 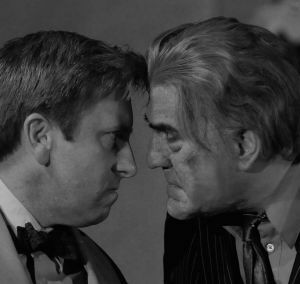 In the play Dan's character, Jonathon, is continuously sent into a murderous rage when he is reminded that he "LOOKS LIKE BORIS KARLOFF!" Boris (Frankenstein)Karloff played the role in the original Broadway production. 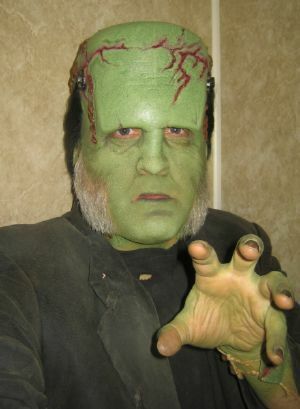 Emmy Award winning Make up artist John Goodwin turned Dan into Karloff's Doppelganger. Daniel spent some of his Christmas season in Marion, Indiana as the performing GUEST ARTIST working with CSA (Community School for the Arts) . 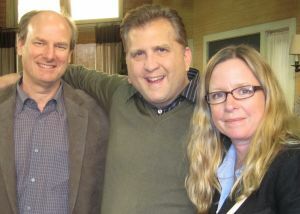 He joined actor Michael Deluise, Director Mark Fauser and a cast of 100 plus local performers in HOME FOR THE HOLIDAYS.